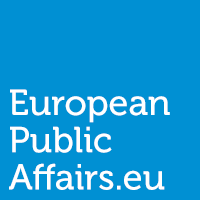 Since the unconventional gas (otherwise known as shale gas or fracking) boom in the US over the last decade, Europe has been trying to diversify its energy and carbon emissions supply chain in order to: 1) meet European binding 2020 energy and emission targets; and 2) combat the rapid importation of cheap coal which is now readily available on the world market from the US. As discussions for 2030 targets continue and in preparation for COP21 in Paris 2015, unconventional gas has become the new stop-gap to increase domestic and European security, which is weakened over the next decade as old coal-fired plants begin to shut down due to tighter regulations. Unconventional gas uses a mixture of water, chemicals, and high pressure to crack rock beds deep below the ground in order to release large quantities of natural gas which is then captured and used within the existing energy supply chain. The UK government has been a leading voice for unconventional exploration as a vital component of any energy future, successfully lobbying the Commission and Council for no further restrictions or regulatory loop holes for companies wanting to invest in this technology during the last year. There is a good reason for this. Energy bills and increasing household costs have been a major policy issue in the UK with the “Big 6” energy companies coming under increasing pressure to lower prices after years of incremental increases far above inflation rates. The government is hopeful that this “dash for gas” will have a similar impact on UK gas prices as it has had on US prices – which have been in free fall, a claim which is unsubstantiated and not likely to occur. The UK also boasts the largest amount of potential shale in Europe, with a projected 37 TCM (trillion cubic metres) according to the latest British Geological Survey. This is nearly double the projected amount in France (projected to have 20 TCM) and Germany with 10 TCM, who have both ruled out domestic unconventional gas exploration in the near future. With the UK’s history of offshore drilling, as well as the expertise gained from this industry, the UK already has the knowledge base and companies able to invest, explore, and lead this new energy drive. The decreasing reserves in the North Sea also play into this, as both industry and government seek ways to balance and maintain domestic supply. It is predicted that unconventional gas has the potential to supply 25% of the UK gas needs by 2040, severely decreasing the impact of lessening North Sea reserves and reliance on Russian imports which have been heavily scrutinised in the last year. A successful unconventional gas industry would create jobs, contribute to domestic energy security (for both the UK and the EU), have a small surface footprint as each site requires less than 100m² to operate, and boost local communities through extra investment in road networks, skills, and labour. Not to mention abide by some of the most stringent health and safety laws in the world which the UK continues to supply. Exploiting these energy reserves however is not without risk. Much has been made of the potential seismic activity created by underground fracking and high pressure mixture of water and chemicals; water contamination in deep lying reserves must be seriously taken into account and the chemical mixture of any drilling site must be tested so as not to prove harmful to drinking water sites; environmental damage in terms of ecological impact and community displacement are also areas of concern. To round-up, unconventional gas exploration and exploitation is happening; if it is successful in the UK over the next decade and an industry is developed, the EU is likely to follow. France must wean itself slowly off of nuclear at some point and Germany’s rushed decision to close its nuclear sites down and return to coal fired plants is a short term fix. Meanwhile many eastern European countries with less natural resources are keen to extract any potential sites in light of recent international conditions (i.e. Ukraine). With funds now available to the gas industry via the EU’s Horizon 2020 programme to the total of 113m EUR, which could directly fund unconventional gas exploration, any thought that the EU is against this energy source can be thrown out of the window. It is a matter of when, not if, fracking becomes a central part of our energy mix over the next 40-50 years. 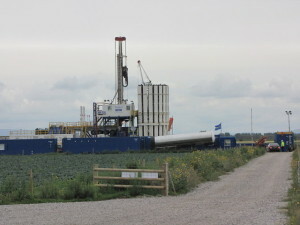 As an informed local resident of a rural UK community threatened by onshore coalbed methane drilling, I am disappointed by the lack of rigour in this analysis.For instance, it is not the potential amount of gas, but the realistic chances of extracting it safely which is relevant.Also- Many economic analysts recognise that onshore gas is very unlikely to be a “gamechanger” in terms of UK energy costs, or employment opportunities, but is likely to be of significant detriment to communities on this crowded island! It is also clear that the EPA, as major regulators, lack expertise in this deep/ lateral drilling, are suffering funding cuts resulting in an absence of rigour in the regulatory regime you cite. Many Public Health and Environmental scientists state that without a full lifecycle tracing the actual effects of this activity we cannot say for certain what risks we may be taking with the health of local people and with our environment. Is it really too much to ask that we wait until these experts are satisfied? The gas after all will still be there…..